This generation may be way ahead of where their parents were at the same age when it comes to preparing for retirement, but the frugality doesn’t end there. Kids these days also aren’t making the same buying decisions our parents made. Here are 10 things that a disproportionate number of today’s young adults won’t shell out for. The average American still consumes 71% of his or her media on television, but for people age 14-24, it’s only 46%—with the lion’s share being consumed on phone, tablet, or PC. Many young people aren’t getting a TV at all. Nielsen found that most “Zero-TV” households tended toward the younger set, with adults under 35 making up 44% of all television teetotalers. Millennials aren’t the only ones tuning out the tube. In 2013, Nielsen reported aggregate TV watching time shrank for the first time in four years. By all accounts, young people should be investing in equities. 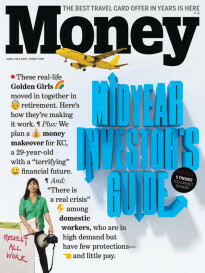 Those just entering the work force have plenty of time before retirement to ride out market blips, and experts recommend younger investors place 75% to 90% of their portfolio in stocks or stock funds. Unfortunately, after growing up in the Great Recession, millennials would rather put their money in a sock drawer than on Wall Street. When Wells Fargo surveyed roughly 1,500 adults between 22 and 32 years of age, 52% stated they were “not very” or “not at all” confident in the stock market as a place to invest for retirement. Bud. Coors. Miller. When parents want a drink, they reach for the classics. Maybe a Heineken for a little extra adventure. Millennials? Not so much. When Generation Now (thank god that moniker didn’t catch on) wants to get boozy, the data says we prefer indie brews. According to one recent study, 43% of millennials say craft beer tastes better than mainstream beers, while only 32% of baby boomers said the same. And 50% of millennials have consumed craft brew, versus 35% of the overall population. Even Pete Coors, CEO of guess-which-brand, blames pesky kids for his beer’s declining sales. Back when the Beach Boys wrote Little Deuce Coupe in 1963, there was a whole genre called “Car Songs.” Nowadays you’d be hard pressed to find someone under 35 who knows what a “competition clutch with the four on the floor” even means. It’s not that millennials don’t want to own homes—nine in ten young people do—it’s that they can’t afford them. Harvard’s Joint Center for Housing Studies found that homeownership rate among adults younger than 35 fell by 12 percent between 2006 and 2011, and 2 million more were living with Mom and Dad. It’s going to be a while before young people start purchasing homes again. The economic downturn set this generation’s finances back years, and reforms like the Dodd-Frank Act have made it even more difficult for the newly employed to get credit. Now that unemployment is decreasing, working millennials are still renting before they buy. This one initially sounds weird, but remember: millennials don’t own cars or homes. So a Costco membership doesn’t make much sense. It’s not easy to bring home a year’s supply of Nesquik and paper towels without a ride, and even if you take a bus, there’s no room to stash hoards of kitchen supplies in a studio apartment. Responding to tepid millennial demand, the big box giant is trying to win over youngsters by partnering with Google to deliver certain items right to your home. However, even Costco doesn’t seem all that excited about its new strategy. Getting hitched early in life used to be something of a rite of passage into adulthood. A full 65% of the Silent Generation married at age 18 to 32. Since then, though, Americans have been waiting longer and longer to tie the knot. Pew Research found 48% of boomers were married while in that age range, compared to 35% in Gen X. Millennials are bringing up the rear at just 26%. Just like with homes, it’s not that today’s youth just hates wedding dresses—far from it. Sixty-nine percent of millennials told Pew they would like to marry, but many are waiting until they’re more financially stable before doing so. It’s hard to spend money on children if you don’t have any. After weddings, you probably saw this one coming, but millennials’ procreation abstention isn’t only because they’re not married. Many just aren’t planning on having kids. In a 2012 study, fewer than half of millennials (42%) said they planned to have children. That’s down from 78% 20 years ago. 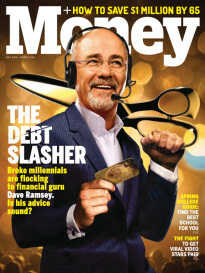 Stop me if you heard this one: it’s not that millennials don’t want children (or homes, or weddings, or ponies), it’s that this whole recession thing has really scared them off any big financial or life commitments. Most young people in the above study hoped to have kids one day, but didn’t think their economic stars would align to make it happen. Since the Affordable Care Act, more millennials are gradually buying insurance. Twenty-eight percent of Obamacare’s 8 million new enrollees were 18-34 year-olds. That’s well short of the 40% the Congressional Budget Office wanted in order to subsidize older Americans’ plans, but better than the paltry number of millennials who signed up before Zach Galifianakis got involved. Read next: What Is Obamacare? When buying a product, older Americans tend to trust the advice of people they know. Sixty-six percent of boomers said the recommendations of friends and family members influences their purchasing decisions more than a stranger’s online review. Most millennials, on the other hand, don’t want their parent’s or peer’s help. Fifty-one percent of young adults say they prefer product reviews from people they don’t know.